The entire spectrum of business competition revolves around who can attract more customers – which ultimately means higher success. This is why you should give special thought to each aspect of your marketing. Something as simple as designing your first sign can become an important first step. Many brick and mortar businesses rely on traditional marketing to gain customers. A sign is a big part which small business can depend on to attract passers-by. It becomes important for them to go the extra mile to get the details right. We are here to help you with that. Here are a few suggestions to consider before making a sign for your business. 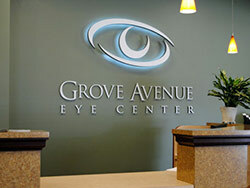 The color on your sign plays a big role in capturing the attention of potential customers. Different colors evoke different emotions. People are more likely to be captivated by colors – it should be easy on the eyes and when illuminated, stands out. Boot Barn’s red is a good example of how color can strike a balance between the right kind of shade and intensity. You ought to ensure that your sign doesn’t cram too much information. Give people a chance to scan your sign when they are in a hurry. Otherwise, customers may find it hard to remember you. Pay close attention to how your logo appears to people walking past your business. Contrast plays a role in readability. Take for the example the Re•Bath sign. The white block letters against the red background make for an easy to read and highly noticeable sign, especially at night. Consider the fact that the logo has to be readable in different weather conditions. And, in the case of the Beach House Fish sign, stand up in the elements. At Dave’s Signs, we will help you design an ideal sign for your business no matter where you are located. Give us a call at (805) 641-1387 or get in touch with us online.